Though the April Uprising of 1876, a Bulgarian revolt against the perceived Ottoman oppression, failed as a revolution, it succeeded in raising international support for the Bulgarian plight. News of atrocities committed by Ottoman troops suppressing the uprising quickly spread to the international community, and Russia soon declared war on the Ottomans. The subsequent Treaty of San Stefano created a large autonomous Bulgaria within the Ottoman Empire, but it was later revised. Why? The Shuar people of Ecuador and Peru first came to worldwide attention in the 1800s, after Westerners discovered that the group practiced head shrinking. The custom stems from the belief that severing an enemy's head and shrinking it harnesses the person's spirit and compels it to serve the shrinker. Though cultural restrictions limited the manufacture of shrunken heads, Western demand for the macabre artifacts prompted the Shuar to produce them in greater quantities. How does one shrink a head? Bell was a scientist and inventor. 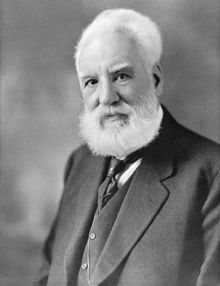 He patented the telephone in 1876 and later helped found the Bell Telephone Company, which came to serve as a model for the emerging telecommunications industry. Bell also invented a device that transmitted sound in rays of light, a machine that tested hearing and detected auditory deficiencies, and an apparatus capable of locating metallic objects in the human body. This last device was hurriedly assembled in an attempt to find a bullet in whose body?